Set in the far future, in a land that is controlled by a ruthless Queen, Charlaina fights for her family..and herself. The Pledge takes place in a fallen America, that is now reformed as Ludania, where Charlaina, also known as Charlie, is of the Vendor class, just like any other class that is ruled by a wicked Queen Sabara over a land that speaks a variety of languages. Charlie can understand all the languages the classes speak, a secret that she must keep to herself. Only Charlaina's family know of this secret in the beginning; though as the story progresses, it is revealed that her parents are keeping a secret of their own. 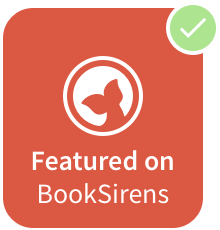 Clinging to a Dystopian Fantasy genre although with specs of a dark Fairytale, The Pledge holds more than your regular plot. I enjoyed reading about the land of Ludania, because although it was reminiscent of other Dystopian plots, this world was full of feisty characters and a looming romance. Charlaina and her friends; including the ditsy, fiery Brooklynn, and the protective, sweet Aron, regularly visit the illegal underground clubs night after night, clubs that are full of energetic and youthful people alike Charlie's age. This is where Charlie meets Max, who seems striven on knowing everything about her. I found that her true personality comes out around him, and we get to know her better when she is around him. Max is mysterious and dark though romantic. There were many times when he would tell Charlie she was beautiful, and it echoed YA romance to a tee. The POV changes in this book were slightly confusing, but gave a glance into what was ahead, whilst being a surprising change on a YA book. Charlie knows she must keep quiet, even though attacks are occurring across the capital and the countryside. But she knows the punishment is death, and chooses to keep herself and her family safe from this, including her sister; Angelina. I found their bond was especially a highlight of the story. The book quickly progresses, throwing Charlie and Max's relationship and her loyalties into perspective, whilst releasing Max's true hero status. 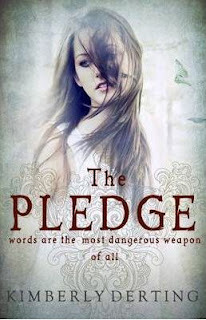 I thoroughly enjoyed reading this novel, and would write about it for hours if I could; but not too give too much away, I will just end with; The Pledge is a must for any dystopian, YA-loving reader, and will be a lovely addition to anyone's bookshelf. I would love to thank Allison & Busby for the opportunity to read The Pledge, and urge you all to read it too. P.S. once you've read The Pledge, read about the next book here.